Although the Moto E was released only less than 2 weeks ago, a rooting procedure is already available for the device thanks to cybojenix from xda-developers. 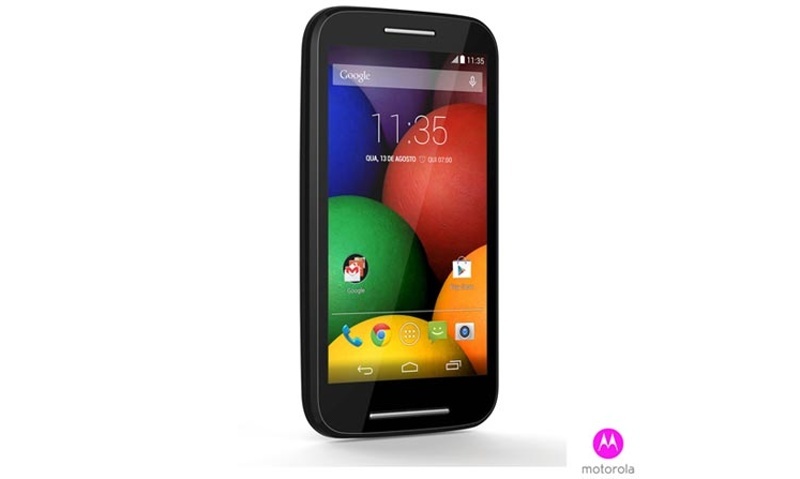 He has come out a easy and fool-proof procedure for users to root Motorola Moto E in less than an hour. All you have to do is to download a few files to get your work starting. In the following tutorial, I will be guiding you guys on how to root Motorola Moto E using the recovery method. Download the following files: 1) mfastboot-v2 , 2) TWRP recovery , 3) SuperSU. Make sure you have unlocked your device’s bootloader. If you have not do so, you can unlock it here. Back up the Motorola Moto E smartphone. Extract the mfastboot-v2 file which you have downloaded earlier to a folder on your desktop. Rename the TWRP recovery file which you have downloaded earlier on to recovery-twrp.img. Once you have renamed it, move it to the extracted folder which you have created in Step 1. Connect the Moto X to your PC using a USB cable. Reboot your device into bootloader mode by pressing both the Volume Down and Power buttons simultaneously for a moment. Next up, go to the extracted folder and press the Shift (keyboard) + Right Click (mouse) on an empty space inside the folder. A Command Prompt will then appear on your PC. This will boot your device into recovery mode. Now, do not touch the screen for 60 seconds as it takes some times before the touchscreen can work again. Once the screen turns blank, press the power button and swipe the screen to unlock the touchscreen feature again. On the recovery menu, select Install > scroll down and select the SuperSU zip which you have downloaded earlier on. Once you have confirmed, it will then begin flashing it on your device. Congratulation! You’ve just rooted Motorola Moto E! Now, you’re free to install custom ROMs as well as recovery on the Motorola Moto E. In the meantime, stay tune for more how to root tutorials! If you have any questions regarding this tutorial, do comment below the post! I want to root my Moto E. I came across very simple procedure by c/net to root any android phone. I am not sure whether it will work! The URL is “http://www.cnet.com/how-to/how-to-easily-root-an-android-device/”. Can you go through the procedure and post your opinion? Thanks in advance.